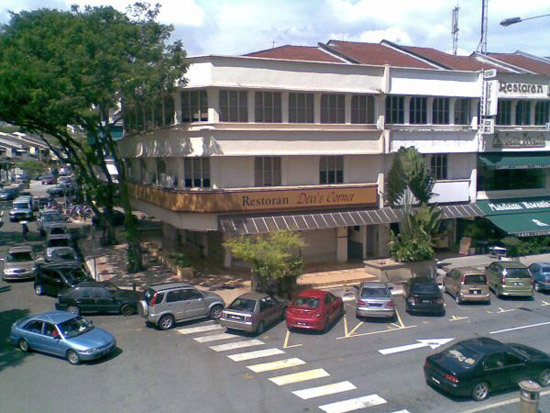 For those of you who frequent Bangsar would know by now that our Famous Devi's Corner Mamak "stall" or rather "restaurant" has shifted from its old location opposite Bangsar Village I (Jalan Telawi 3) to yet another corner lot at former Cheap Charlie's Restaurant location opposite Bangsar Village II (Jalan Telawi 5). This move actually gives BVI & BVII a better "image" of cleanliness as well as poshness, not because the restaurant is dirty to begin with but rather because it solves some of the traffic problems and messiness associated with people who simply double park along the streets just to pop in to their local favourite restaurant for a quick roti canai and a drink. Situation gets worse during peak hours simply due to the inflow of traffic from Damansara, Pantai & Jalan Bangsar. 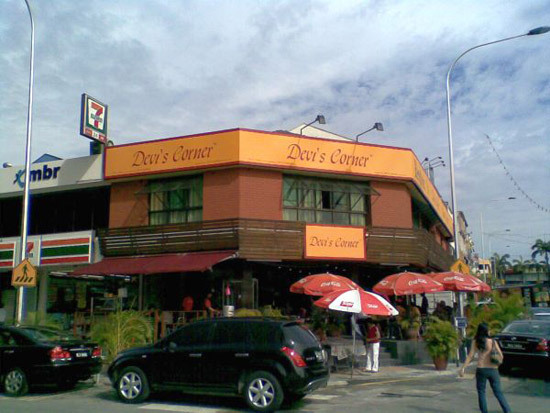 Now that Devi's Corner is located in Jalan Telawi 5, it is still noticed that cars still double park around the corner of the restaurant, but there are also more lots around the area for customers to park at. It is also closer for patrons to park in BVII or even at the Jolly Green Giant carpark which is now just a stone's throw away. So the next time you go to Devi's Corner, please do try and park your car in the right spot! We love our Mamak but we also love to see proper parking practices being put into place.